I love a novel-tea print! 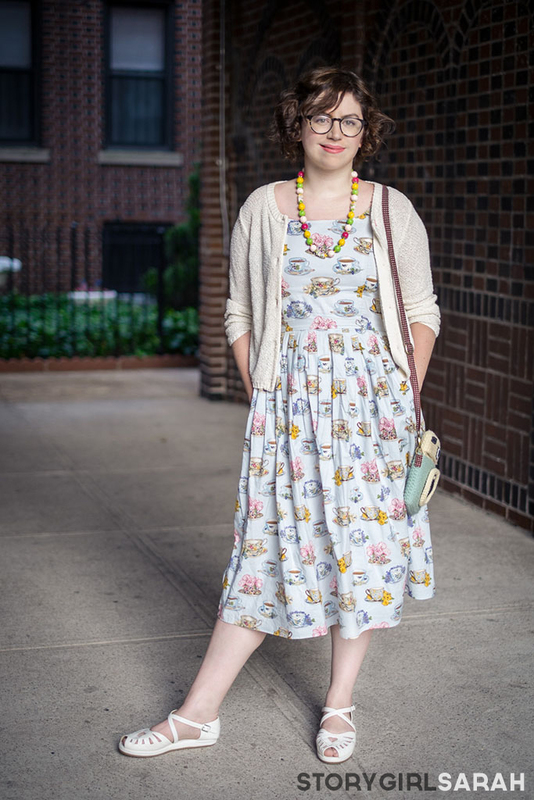 So it comes as no surprise that I had to have the “High Socie-tea” dress from ModCloth as one of my Year of Dresses treasures! I chose it for the print, but I love it for the casual comfort. This 100% cotton, lined day dress has become an MVP of my go-to weekend duds. 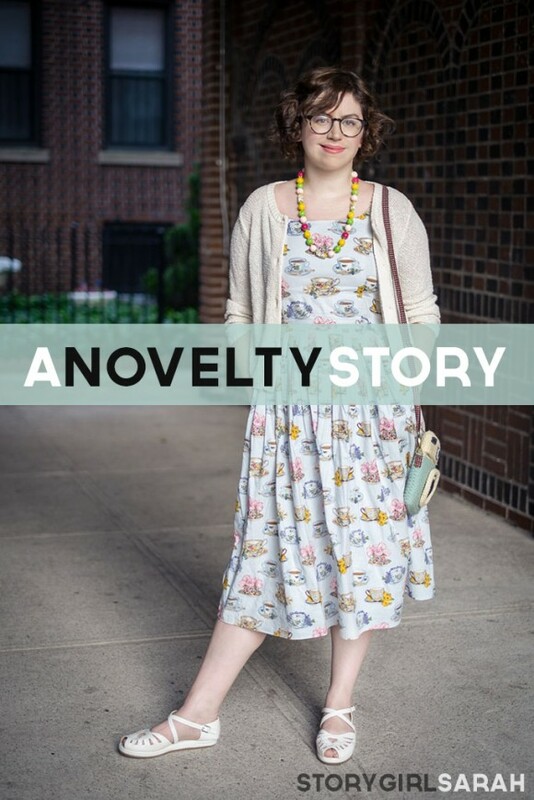 It’s wonderful to have a cozy dress that people actually stop you on the street to compliment. When I’m traipsing about town in my teacups, I bring smiles wherever I go! Speaking of novelty, I pulled a novelty on novelty ninja move and paired the dress with my hand crocheted Diana Dreamer Purse! What do you think? I love that print and even better it is comfy. ← 30 posts in 30 days!